The Sony Vario-Tessar T* FE 16-35 mm F4 ZA OSS is an excellent ultra-wide-angle zoom lens for the Sony A7/A7R/A7S full-frame compact system cameras. It delivers outstanding sharpness in the centre of the frame almost throughout its aperture and zoom range, and also performs very well at the edges of the frame too. The Sony Vario-Tessar T* FE 16-35 mm F4 ZA OSS lens does suffer from both distortion and vignetting at either end of the zoom range, requiring some post-processing to remove it, but chromatic aberrations are well-controlled and it can even create some nice bokeh effects when shooting wide-open at 35mm. The relatively compact Sony Vario-Tessar T* FE 16-35 mm F4 ZA OSS offers an effective image stabilisation system, quite fast, quiet and reliable auto-focusing on the A7R that we tested it with, intuitive manual focusing and an excellent level of build quality, plus it's usefully weather-tight too. 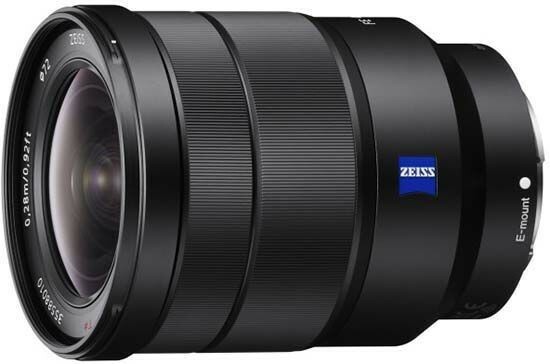 All in all, we'd definitely recommend buying this lens if you can stomach the price of admission - it makes an excellent addition to the already released Zeiss FE 24-70mm F4 and FE 70-200mm F4 lenses.